Saoirse Ronan and Emory Cohen in Brooklyn. The purity of love and the beguiling innocence of young lovers blossom in John Crowley’s profoundly moving Brooklyn, a film that makes one believe in love again. This heartfelt coming of age tale is set in the 1950s, and tells the story of Ellis, a young woman who moves from small-town Ireland to Brooklyn, NY where she strives to forge a new life for herself, finding work and first love in the process. When a family tragedy brings her back to Ireland, she finds herself confronting a terrible dilemma – a heart-breaking choice between two men and two countries. Adapted from Colm Tóibín’s New York Times Bestseller by Nick Hornby ( An Education) and directed by John Crowley (Intermission, Boy A), Brooklyn stars Saoirse Ronan (The Grand Budapest Hotel and Atonement), Domhnall Gleeson (About Time, Anna Karenina), Emory Cohen (The Place Beyond The Pines), Jim Broadbent (Oscar winner for Iris) and Julie Walters (Billy Elliot and Educating Rita). After acquiring the rights to Colm Tóibín’s producers Finola Dwyer and Amanda Posey tasked Nick Hornby with adapting the beautiful, yet understated prose of Tóibín’s book. For Hornby, the cinematic potential was obvious. Achieving a balance between an engaging character study and social commentary on a part of Irish-American history needed a director who understood more than most the emotional pressures that Eilis and others like her must have felt. John Crowley, an Irish native now living in England, first made his name as a director with 2003 Irish comedy Intermission and went on to direct BAFTAwinning drama Boy A. Author Colm Tóibín saw the similarities in John and the character of Eilis. Crowley was drawn to the universality of Eilis’s experience, before Hornby had even written the script. “I had read and loved the novel so I leapt at the chance to read the script. Nick’s screenplay was, and still is, a really beautiful rendering of Colm’s novel” says Crowley. Both were left in no doubt about Brooklyn’s dramatic potential after reading Hornby’s completed script; not least the author himself. “I was really amazed at the clarity of it; that he actually understood the central emotion was one about love, someone being torn between two possibilities.” says Tóibín. To Tóibín, Eilis’s journey was not just one of emotional maturity; it was physical, too. Hornby’s understanding of the social mores of small-town Ireland in particular was immediately apparent to lead actress, Saoirse Ronan. Julie Walters, who plays Mrs ‘Ma’ Kehoe in the film is another admirer of the source material. She was equally impressed by Hornby’s distillation of the novel into an understated and emotional rich script to work with. To draw such emotion out of his actors meant a very patient, hand-on approach for Crowley. So Colm Tóibín describes the lead protagonist of Brooklyn, Eilis. Finding a lead actress to portray the subtleties and sensitivities of the character was central to the success of the story’s translation to the big screen. That person was Saoirse Ronan. Born in New York to Irish parents and raised outside Dublin, Saoirse first found fame in Joe Wright’s Atonement, and went on to make starring roles in The Lovely Bones, Hanna, How I Live Now and most recently Wes Anderson’s The Grand Budapest Hotel, all by the age of 20. Ronan, like Crowley, was able to draw immediate parallels between Eilis’s background and her own. “I think it was very close to my heart because it was about my people. It was the journey that my parents went on back in the ‘80s; they moved over to New York and they kind of went through all the same things, even though it was a different era and a different time. And the correlation between Saoirse and Eilis wasn’t restricted to social and geographical circumstances. It was intensely personal, too. As a consequence, Ronan found it increasingly hard to separate the emotions of her character from those of her own. “I’ve always been able to separate myself at the end of the day, leave the story behind, just go home and be myself again, but there were times when I was on set and it was so realistic for me that it would remind me of something that’s happened in my own life, and I would just start crying. 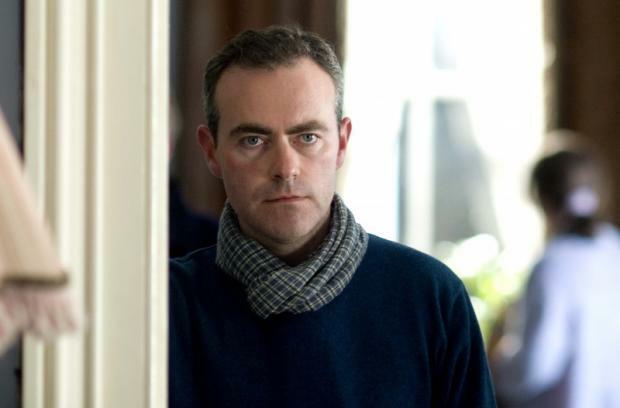 John Crowley saw Saoirse’s ability to sympathise with Eilis as an incredibly important element in translating the emotion of the novel to the big screen. “It’s the part that Saoirse seems to have been waiting for. There’s an intersection there between the actor and the role which happens, I think. If you’re lucky, it happens once in your career and every word that that Saoirse spoke on set she could have just been making up off the top of her head. 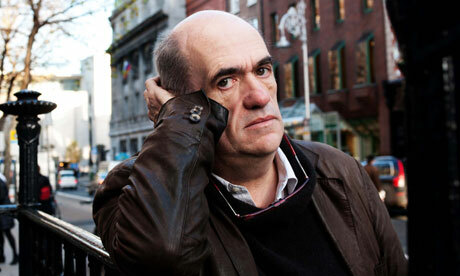 Colm Tóibín was equally impressed by the way Ronan inhabited the character of Eilis so completely. “She has an extraordinary facility to deal with suggestiveness, to suggest a great deal by doing very little. That’s a most fascinating idea, not only for people watching the film but for writers because that’s what you always try to do. 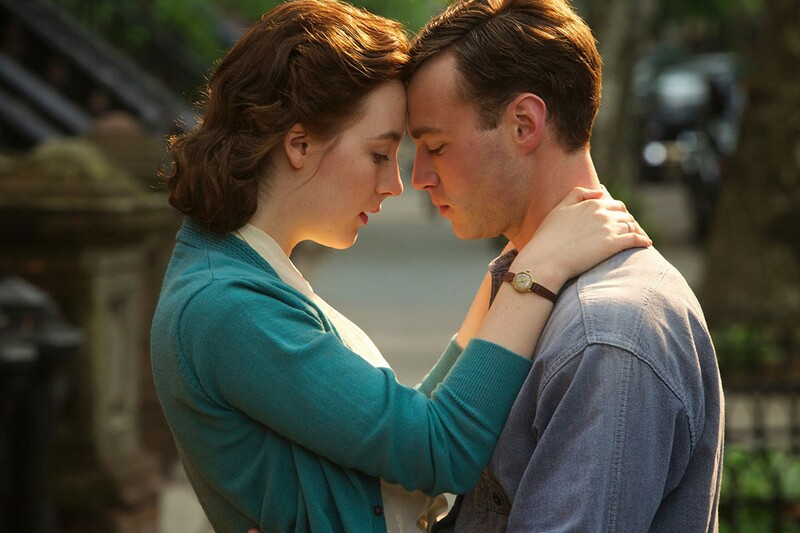 Emory Cohen and Saoirse Ronan in Brooklyn. Just as important to the translation of the story from book to screen was the casting of Tony Fiorello and Jim Farrell, two equal temptations to Eilis on opposite sides of the Atlantic. Emory Cohen, born and raised in New York City, was a natural choice for the part of Brooklyn-ite Tony. Though, having made his name playing more troubled characters in NBC’s Smash and Derek Cianfrance’s The Place Beyond The Pines, the move towards a mild-mannered, affectionate young man was a step in a different direction for Cohen. Cohen’s natural ability and authentic instinct was the deciding factor for John Crowley. “This is where I’m from” says Colm Tóibín about his home town of Enniscorthy, one half of the setting for Brooklyn and an ever-present influence on the cast and crew as they filmed there. Filming the Irish part of the story in the very town that inspired Tóibín to write the source material had a powerful effect on the cast, particularly Saoirse Ronan, who grew up not far from the town itself. “It’s always going to affect your performance if you’re shooting in the real life town, because you just get a spirit for that place” says Ronan. “Even when I was younger I used to go to Enniscorthy there was a cinema by the river that me and my school friends used to go to. Having some sort of connection, whether through your own experience or just through talking to the people in the town, it was nice to have such a strong connection to this place. For the second half of filming the complete opposite of the Enniscorthy shoot was the challenge; for much of the time, Brooklyn wasn’t Brooklyn, but rather Montreal. Despite doubling for Brooklyn on-screen many times in the past, most notably in Once Upon a Time in America, Emory Cohen found the geographical transplantation to Canada a little more difficult than most. For the director, the hope in creating Brooklyn is that the audience are emotionally invested and really care about the decision she makes, regardless whether they think it’s the right one. Brooklyn released on November 13, 2015.